December sees us heading in to the holiday season, which means many shows are ending or going on hiatus until the new year. 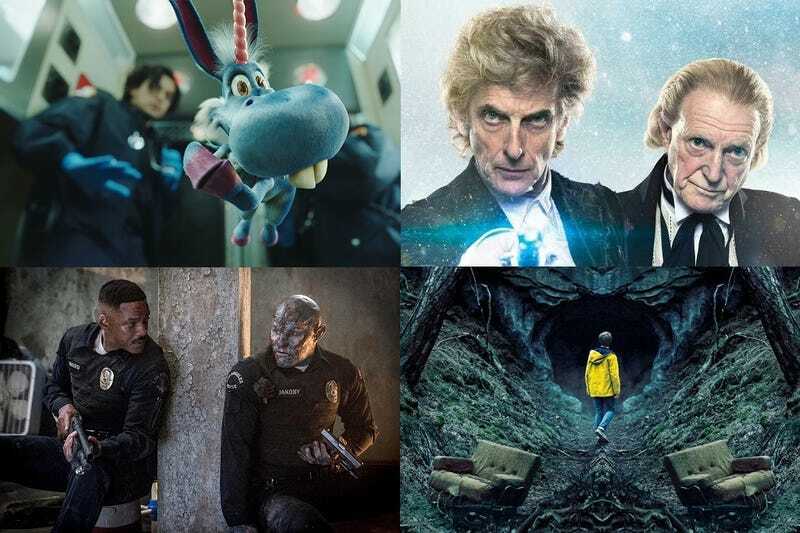 However, there are still a few show premiering, including a German-set supernatural mystery, the long-awaited Knights Templar show, a Syfy series featuring a tiny blue alicorn, an orc cops movie, the return of Coulson and the gang and another adventure with a fake psychic. Keep reading to find out when your favorite shows are airing. Photo: Clockwise from top left: Happy, Doctor Who: Twice Upon A Time, Dark & Bright. The 10-episode webseries follows a young Catherine Langford as she tries to solve the mysteries that lie beyond the Stargate in order to save Earth from impending doom.